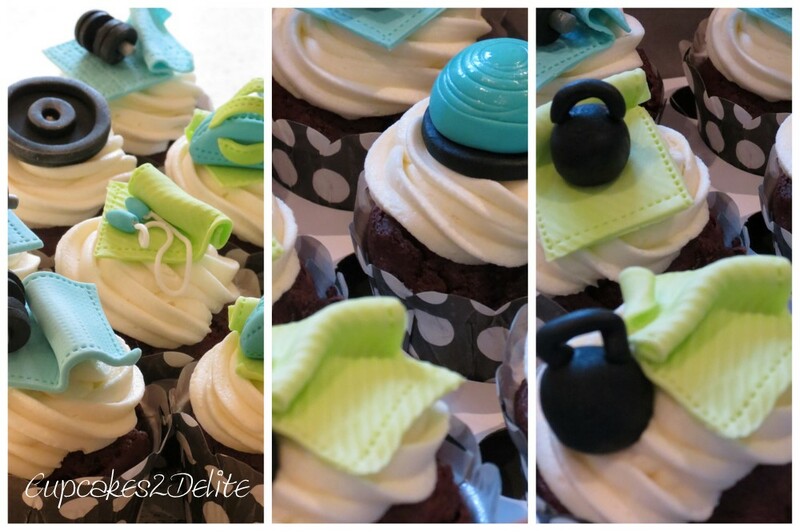 It was great fun for Cupcakes2Delite to get physical again and I made these cupcakes for a female gym enthusiast this time! Instead of bulging biceps and perky pectorals I made sugar paste gym bags, gym towels,weights, hand weights, kettle bells, bosu balls, exercise balls and skipping ropes. 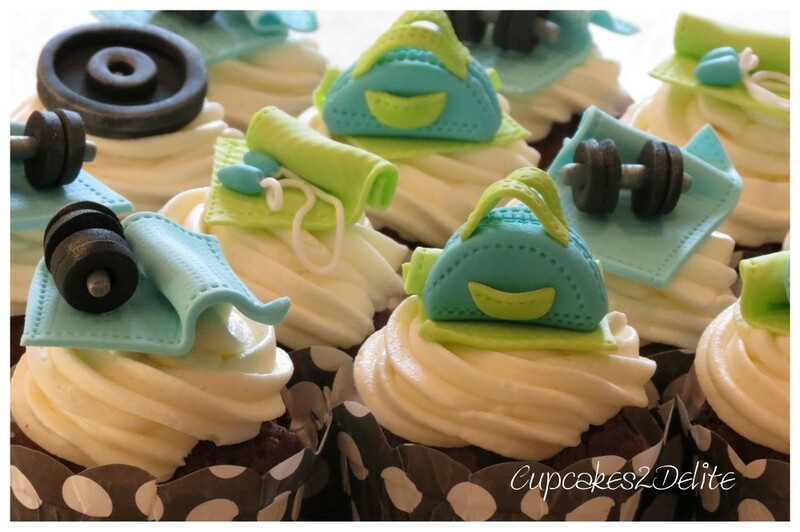 I used the lime green, turquoise and black to co-ordinate the colours for Hayley’s cupcakes and included these fun toppers as she is passionate about her exercise. Thanks Brian for this order and delighted that these cupcakes were a part of the family birthday celebrations! ← Motorbike Helmet Cake for David’s 21st! Another work of art from my little artist!!!!! Thanks babes, you are my number 1 fan always!